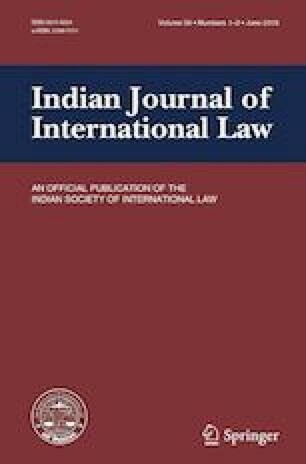 It has been a year since the ICJ for the first time declined jurisdiction because the respondent was not aware that there was a dispute – the “objective awareness” test. The court was deeply divided on this issue, and the decision has been widely criticized for its adoption of the objective awareness test. This article argues that the Court was correct in applying the objective awareness test. The awareness of the respondent has always been found by the PCIJ and ICJ – whether directly or indirectly – and there are sound policy reasons that necessitate it. Firstly, for a dispute to exist for the ICJ to exercise jurisdiction, the extent of disagreement between the parties has to reach a certain degree of seriousness. Such a degree of seriousness cannot exist if the respondent is unaware of the dispute. Secondly, unlike the observation by the judges in the minority, the objective awareness test flows from the jurisprudence of the PCIJ and the ICJ. Thirdly, flexibility at the stage of jurisdiction does not imply that the dispute has to be routinely held to exist. Fourthly, if the respondent is caught unaware and surprise litigation is allowed, it will undermine the confidence of States in the international adjudication process, particularly those that have accepted the compulsory jurisdiction of the ICJ. Lastly, it would make the expression of disagreement at multilateral negotiations impossible. States will be uncomfortable expressing their views freely since in every disagreement there would be roots of a dispute. Member, UN International Law Commission; Consultant, Public International Law and International Arbitration, Withers LLP, London, UK; Advocate Supreme Court of India. I thank Sarthak Malhotra, Vishakha Choudhary, Vaishali Movva and Tanishtha Vaid for their research assistance.